As de facto relationships increase, the law has also had to change to reflect the changing nature of family structures. Some people assume that writing your will and getting ahead in your estate planning is just something for married people to do. However, new amendments to the Succession Act (QLD) have provided de-facto relationships the same rights as married people in relation to estate planning, with the main focus being children. A stepchild now includes the children of de facto relationships in which the child belongs to one party of the relationship. Therefore, a de-facto stepchild has the same rights as a stepchild and now has access to a Family Provision application against the step parent, even if it is a de-facto stepparent. Family provision claims arise where a will maker doesn’t make adequate provision in his or her will for family members. In each of the states of Australia, the law casts an obligation upon a will maker to make adequate provision for certain persons. The definition of ‘certain persons’ differs from state to state. Now this definition in Queensland also includes de facto step-children. The relationship of stepchild and stepparent under the law will end when the de-facto relationship ends. However, the relationship does not end if the stepchild’s parent passes away, as the stepparent may be named the legal guardian. 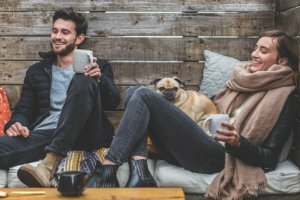 The most significant change is the fact that the end of de-facto relationships have similar effects on the will of the couple if it did in the event of a divorce. This means that there is an automatic revocation of beneficial dispositions or appointments in the deceased’s will. These changes apply unless a contrary intention appears in the Will. 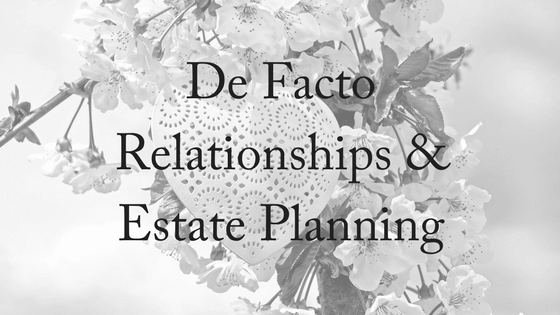 There are some legal exceptions, namely that any appointments as trustee of property left on trust by the will for beneficiaries including the former de facto partner’s children or in favour of children of whom both the testator and former de facto partner are parents. A will for two people in de facto relationships is just as important as for married people. It allows you to provide a clear set of guidelines on the distribution of your assets after you pass away and can also make decisions regarding the care of your children, for example. If you die without a valid will you will have no say in what happens to your estate. In this scenario the law decides – the legal term is intestacy. Under the rules of intestacy your estate will be divided among certain blood relatives in accordance with a strict order of priority, which may not be in line with your wishes. If you don’t have a will in place then you don’t get to choose the guardians for your children – the court decides for you. It is important to update your will when entering a de-facto relationship, especially when stepchildren are involved. Your estate planning can plan the separation of assets if one person passes away or the relationship ends. You can also make agreements on the legal guardian of the children and what relationship they will have with each parent and stepparent in the event of your death. It is crucial to make important decisions regarding your relationship early and not before one of you passes away or loses capacity and it is left to the courts to make decisions about your shared assets and the lives of your children. For more information, contact us today. We offer a free, 10-minute phone consultation.